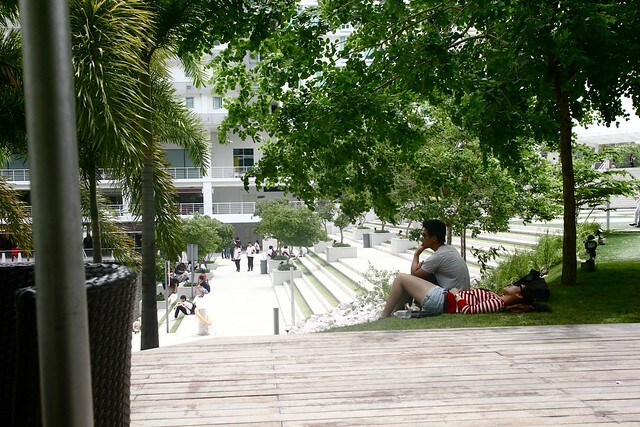 Taylor’s University Lakeside Campus is one of the nicest university campus in Malaysia, the school fees also very “nice (expensive)”, yet the campus is really good. There’s a not-very-big lake in the middle of the campus. 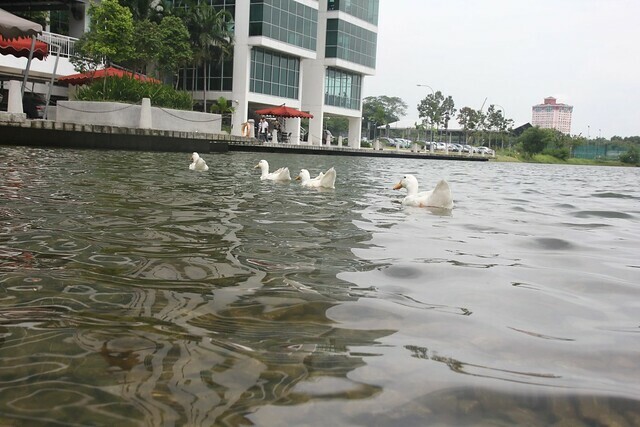 On a fine and cloudy, relaxing and lovely afternoon at Taylor’s University Lakeside Campus, students strolled around the lakeside and I saw animal by the lake. The are the goose! 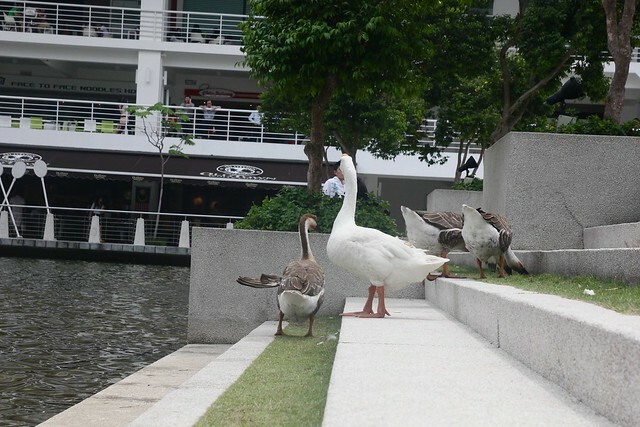 I am not sure they are goose or duck. I thought it was duck, but mom told me it’s goose. 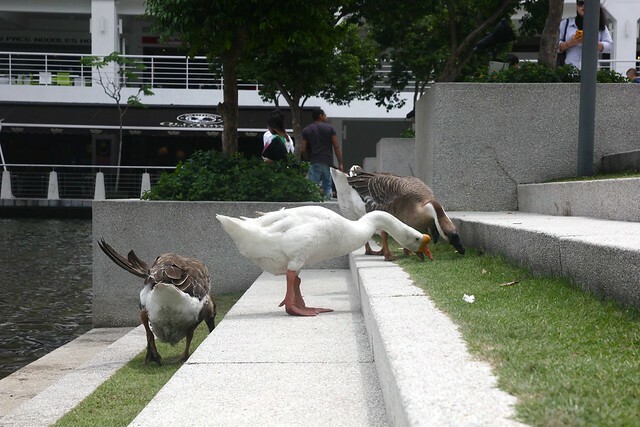 It’s goose because they are fatter and the neck is longer. What do you think? 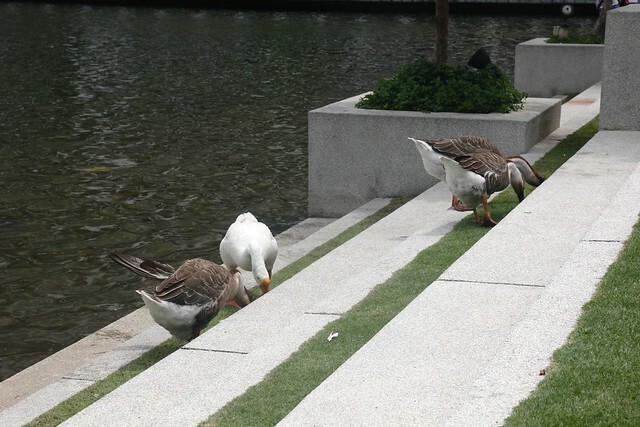 These are the playful goose that always get onto the steps to find food. Students and passersby do feed them occasionally.